Fig. 1 - Exhibition Invitation. Disclosure. Quintana's poetry seems to a painting. It is graceful and goes back to the old houses and narrow streets of small towns, with their shutters and tinted windows, in Brazil of old. The poet speaks of a country full of charm, which is recorded in the hearts and minds. This country still exists in some small towns between hills and mountains. It is this charm that speaks Brazilian Art. A colorful unspeakable, Alegre, as the Mardi Gras colors, as the fauna and flora of Brazil as, and as the Brazilian people. 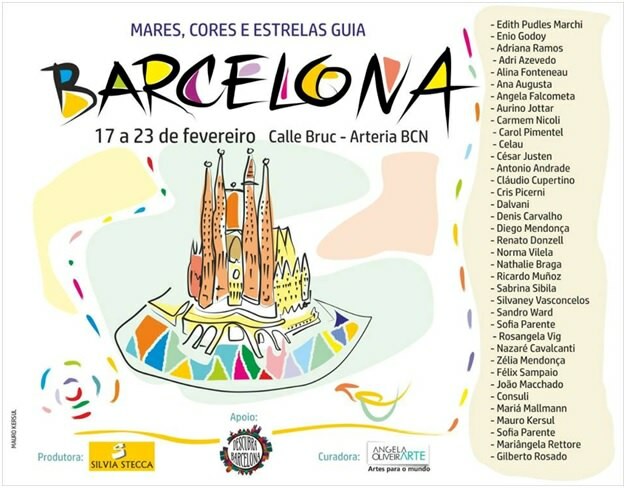 The joy of this Art, with all its color will be taken to Barcelona, in Spain, in one of the exhibitions of the "Seas, Colors and Star Guide "curator and promoter of Art Angela de Oliveira. The theme is varied, the colors are the protagonists, Nick and charm are Brazilian. 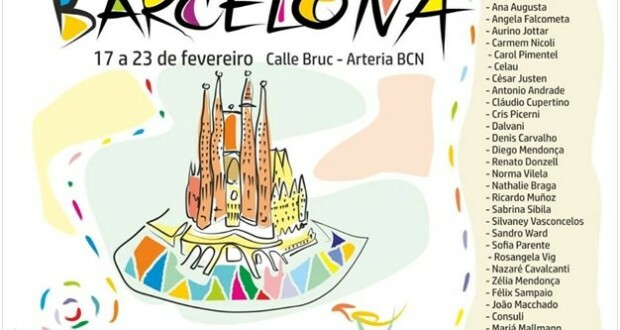 The project has been in other European countries, now comes to Spain, no Arteria BCN, from 19 to 23 February and brings together big names of talents from Brazil. Based on the principle lead to Culture and the essence of Brazil, no artistic field, curator rigorously selected works, chose new artists, emerging or already established names in the arts. And what's more poetic that country will be taken to Barcelona. The producer show, Silvia Cue, He is excited about Barcelona and curated by Angela. Fig. 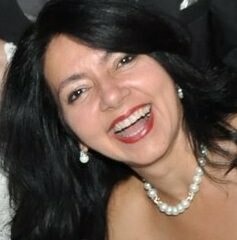 2 - Angela de Oliveira. Photo: Disclosure. Fig. 3 - Angela de Oliveira. Photo: Disclosure. Among the artists are Adriana Ramos, Adri Azevedo, Ana Augusta, Angela Falcometa, Antonio Andrade, Jott Aurín, Carmen Nicoli, Carol Pimentel, gels, César Justen, Claudio Cupertino, The consul, Cris Picerni, Dalvani, Denis Carvalho, Diego Mendonça, Edith Pudles Trademarks, Enio Godoy, Félix Sampaio, Gilberto Rosado, John Macchado, Mariá Mallmann, Mariangela Rector, Mauro Kersul, Nathalie Braga, Nazareth Cavalcanti, standard Vilela, Renato Donzell, Rosângela Vig, Sabrina Sibila, Sandro Ward, Silvaney Vasconcelos, Sofia Parente and Zelia Mendonça. The highlighted names are the artists Rosângela Vig and Silvaney Vasconcelos, both the city of Sorocaba, in São Paulo. Rosângela, drawing from small, We have used the graffiti techniques in their work. His style went from figurative to the imagination and is currently marked by colorful balloons, your identity, both the pencil, on paper, as the screens. 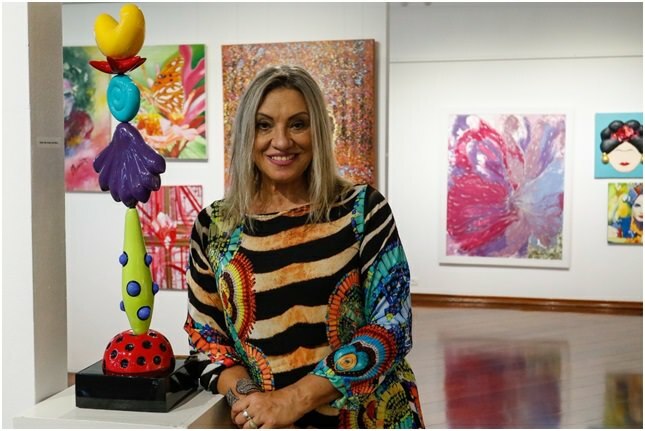 For the artist, who has participated in several exhibitions with Angela de Oliveira, professionalism and competence of the curator promoted the name of many artists and their works, and thanks. Silvaney, plus artist, Art is also a teacher and has a contemporary style, full of colors and poetry. His talent was revealed at three years of age. Your participation in this and other shows, curator promoted growth in your career. And the artist concludes commenting that wants to make a difference and show the colors in the Brazilian Art, to the world. And the color is present in the works of two artists. The full color balloons Rosangela Vig fly over the city of Florence (Fig. 4) and contrast with the monochrome city, drawn graphite. Silvaney populated his work with flamenco sensuality (Fig. 5). The color of the robes and the movement accentuate the rhythm of the music and the joy of dance. Fig. 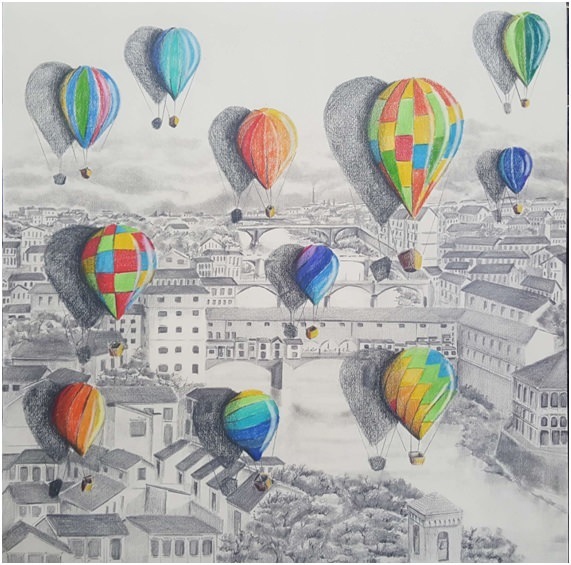 4 - Balloons over Florence, Rosângela Vig. Photo: Disclosure. Fig. 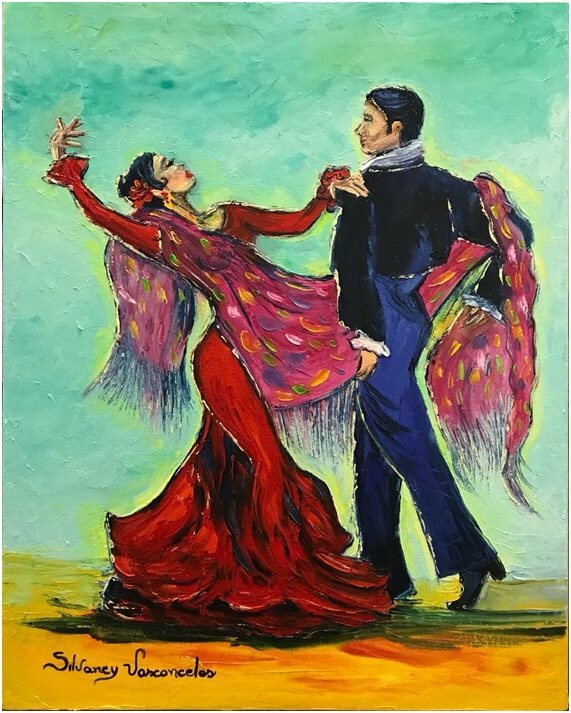 5 - Couple dancing, Silvaney Vasconcelos. Photo: Disclosure. Among the works of all artists, the color is protagonist, speaks of how the Brazilian is expressed in its unique way to understand and be understood by the art vein. “Mares, Colors and Stars Guide "
QUINTANA, Mário. Quintana de Pocket. Porto Alegre: L&PM Pocket, 2007..